1. 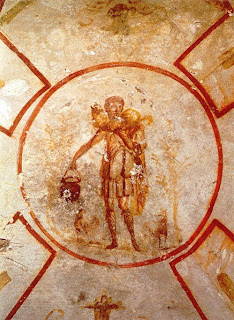 The Good Shepherd is the theme of two of the most moving passages of the Gospel. 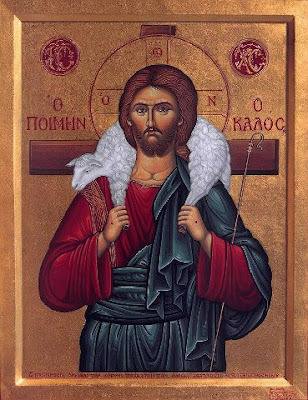 I am the good shepherd, Jesus says. These texts vividly describe God's mercy towards poor sinners. 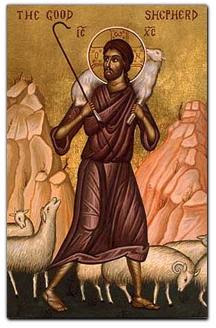 We may often have been amongst the lost sheep which are separated from the flock of Jesus Christ. We found, perhaps, the poisoned pastures of error and vice and strayed from the path of truth and goodness. But what happened? We experienced disillusionment and remorse and knew that we had lost our only real good, which is God. How sad our fate would have been if the Good Shepherd, Jesus, had not come to look for us and to enlighten us with His grace. We should have been lost for ever in the desert of sin. 2. Now read another touching Gospel parable. A certain man had two sons. And the younger of them said to his father, "Father, give me the share of the property that falls to me." And he divided his means between them. And not many days later, the younger son gathered up all his wealth, and took his journey into afar country; and there he squandered his fortune in loose living. And after he had spent all, there came a grievous famine over that country, and he began himself to suffer want. And he went and joined one of the citizens of that country, who sent him to his farm to feed swine. And he longed to fill himself with the pods that the swine were eating, but no one offered to give them to him. But when he came to himself, he said, "How many hired men in my father's house have bread in abundance, while I am perishing here with hunger! I will get up and go to my father, and will say to him, Father, I have sinned against heaven and before thee. I am no longer worthy to be called thy son; make me as one of thy hired men." And he arose and went to his father. 3. More than anything else in Scripture, this parable proclaims God's mercy towards sinners. Even if we have fallen, there is no need to be afraid, for the helping hand of God is stretched out to raise us up. Everything will be forgiven as long as we are sincerely repentant like the prodigal son. Remember that the mercy and justice of God are equally infinite.